The Oumier Wasp Nano RDTA is the latest atomizer coming from Oumier! It does feature a similar design to the original Wasp Nano RDA, but differs since it has a tank section on the bottom, making it a rebuildable dripping tank atomizer. RDTAs have become quite popular as of late since it gives you the flavor of a dripper yet the convenience of a tank. The colors available for purchase are Pearl White, Black, Gold and Pearl Chrome. 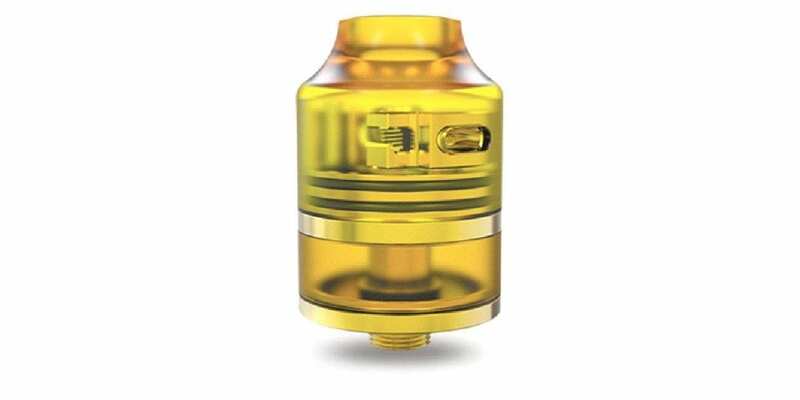 Click Here to Check Out The Wasp Nano RDTA! 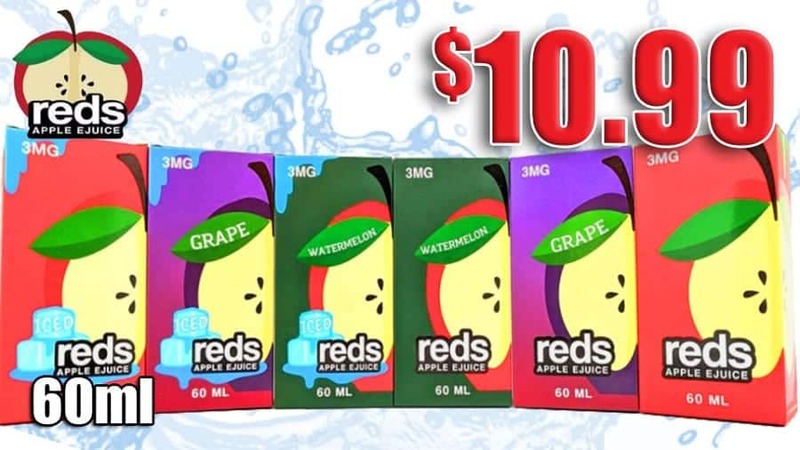 Depending on which color you purchase will determine the top cap and tank section materials and colors. For example, the gold color is Ultem for both the top cap and tank section while the black will have a black top cap and glass tank section. That’s great for those vapers looking for something unique or simply want to match their atomizers and devices! Included with the Wasp Nano RDTA, you do receive the atomizer itself, a user manual and bag of spare parts. Similarly to the original Wasp Nano, this RDTA does sport an overall diameter of 22mm. Since this is an RDTA though, it is a bit taller, coming in at 31mm in height. However, 31mm is still quite short, especially when considering this atomizer does have a tank section underneath the build deck. Since having a 22mm base diameter and a height of 31mm, it will look great on most box mods you attach it to, even your smaller mini mods! That’s a great thing about both the Wasp Nano RDA and RDTA. The Wasp Nano RDTA does feature a single coil build deck, and installing your coils is a breeze! Just like the original, be sure that your leads are facing the opposite direction and simply slide your leads into the open post hole and tighten the leads down. Once you do this, you can easily adjust your coil to your liking, and make any other adjustments you find necessary. The build deck is relatively the same to the original, so if you’re used to building on it, you’ll have zero issues with this. Also, you can easily fit a variety of coil builds such as Claptons, Fused Claptons, simple round wire builds and more! The coil does sit right underneath the drip tip, so you will be experiencing excellent flavor with this atomizer. Wicking the Oumier Wasp Nano RDTA is simple as well. Make sure the ends of your cotton are fluffy, and gently tuck your cotton into the wicking channels. You can simply leave the cotton just barely hanging down into the tank section, this will ensure effective wicking. You can wick it differently if you desire. This RDTA does have a 2ml e-liquid capacity, and features a convenient juice filling method for quick and easy filling. The airflow system on the Wasp Nano RDTA is unique and can cater to both flavor and cloud chasers! It is recommended to have your coil sit a little higher, so that your airflow will travel underneath the coil. This will certainly help with flavor, but if you wanted the airflow to hit the side or top of the coil, simply lower your coil once you have installed it. Overall, the Oumier Wasp Nano RDTA is an excellent addition to the Oumier line of atomizers. If you were a fan of the original Wasp Nano RDA or looking for a new single coil RDTA that you can flavor or cloud chase with, then this is an atomizer definitely worth checking out! For under $25, it’s a incredible deal.